Do I still need a subwoofer with the floor standing tower speakers, M60 or M80? Q. If I get M60 or M80 floorstanding speakers for my left and right front channels in my home theater system, do I still need a subwoofer? A. 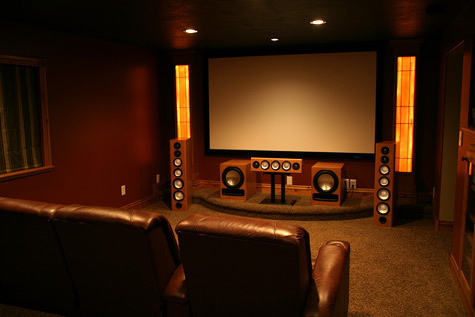 You can use the M60 or M80 without a subwoofer because both have smooth, extended bass output, but for movie soundtracks and home theater applications, the subwoofer produces lots of very low-frequency effects designated just for the sub, plus bass for the center and effects channels, especially when you have the Bass Management in your receiver set to "Small" for the center and surround speakers. If you set your main floor standing tower speakers to "Large", the subwoofer will still handle deep bass dedicated to the LFE channel and the towers will cover bass that was mixed full frequency to the front left and right towers. Hence a subwoofer will greatly enhance your system's overall bass response. Reproducing bass, especially in a large room, can be quite a difficult task. The sub-woofer in conjunction with floorstanding front speakers will help a lot in accomplishing this goal. If you set your floorstanding front speakers to "Small" on your receiver you should set the cross over frequency for these to a lower level than the center and surround speakers, either 40 or 60 Hz would be best. Even in this small setting the floor standing tower speakers will add significantly to the power and efficiency of your systems bass output. The built in amplifier in the subwoofer will relieve the load on the amplifiers in your receiver. This also reduces distortion and results in cleaner sound overall because the amplifier does not have to "work" as hard. Don't worry that you will "waste" the deep bass capabilities of your main speakers. The receiver crossover gradually reduces the load on the main speakers as it transfers the low frequencies to the subwoofer, but your main speakers will still be producing significant output to 40 Hz or lower, and lots of upper bass. Read tips on placing floor standing tower speakers in your room.